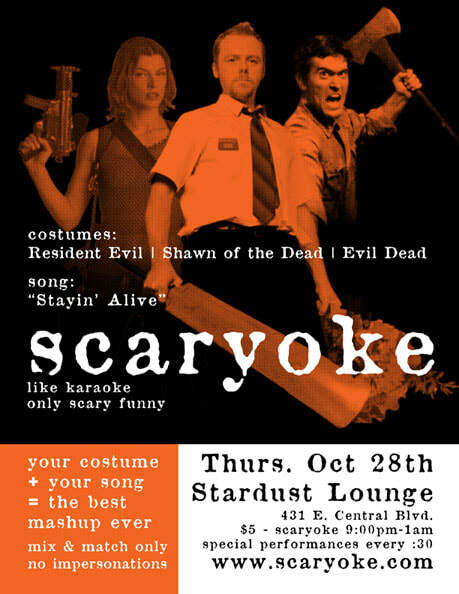 As I explain in the posters, "Scaryoke is like karaoke, only scary." 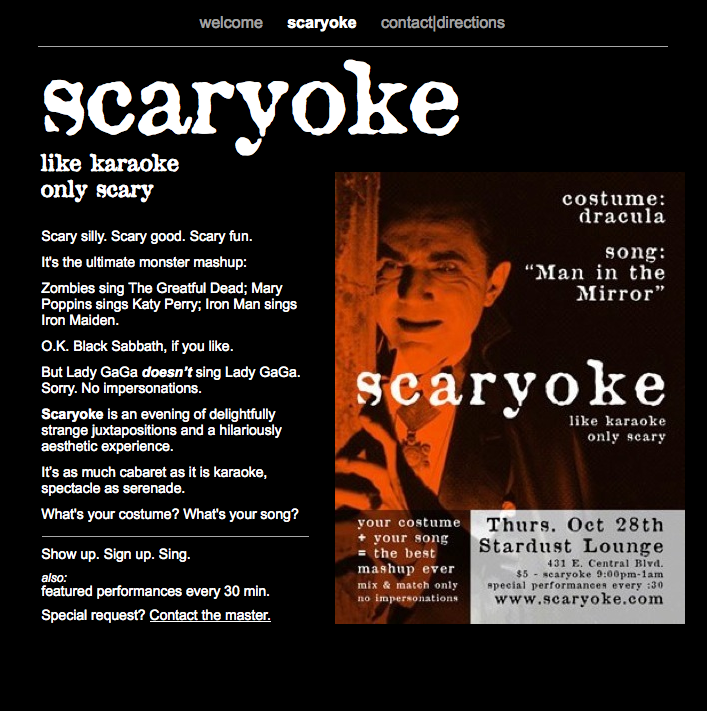 This interactive event invited guests to pair their Halloween costume with a song—the more witty or ironic the better. A trapped miner sings, "Working in a Coal Mine," or a panda sings, "Little China Girl." You get the idea. 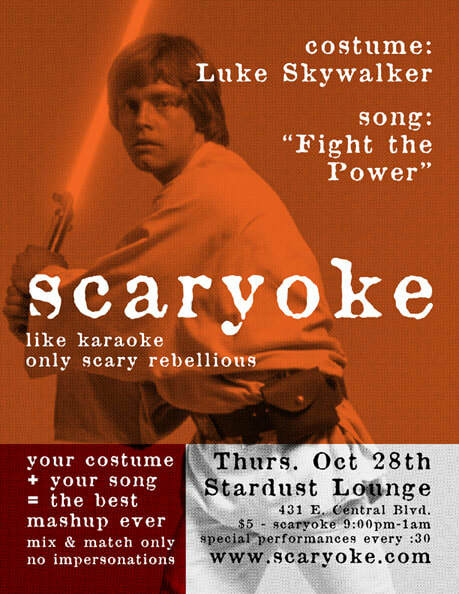 Cycling through different costumes over the evening, I hosted a series of scheduled performers as well as anyone who signed up to sing. 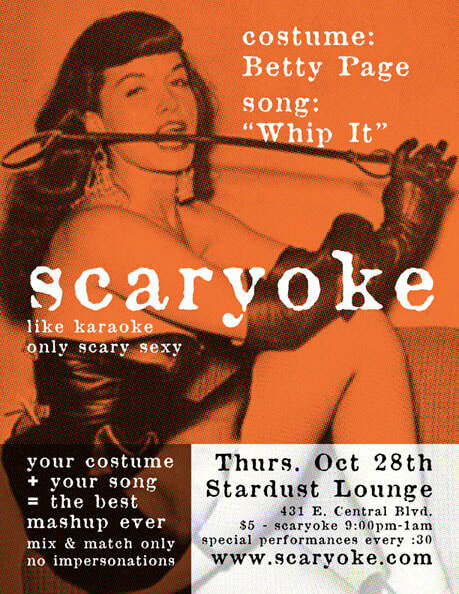 The show was a big success for the venue, Stardust Lounge, and a big hit with the crowd.